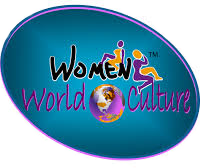 To Advertise with WWC: Click Here! Training for Executives-Education, Law Enforcement, Gov. Agencies- Click Here! Host your website with CalWeb! Colour of Couture represents all of the women of color who often are never be recognized. Women of colour come in all shapes, sizes and color. Whether light, medium or darker colours, we are all women and should have the same opportunity as anyone else. Colour of Couture is a Top Model Competition created to showcase the brilliant talents of the Women of Color in Second Life Fashion - including Aboriginal, African/African Diaspora, Alaska Native, Asian, Caribbean, Latin American, Maori, Native American Indian, South Sea and Pacific Island, and Indigenous heritages throughout the world. We welcome you to join us in Colour of Couture - Top Modeling Competition. You must have attended a modeling academy or have some experience in runway modeling. Have an ability to walk a runway and understand, own and be able to purchase poses as needed. COC is a Top Model Competition so, Runway skills are a substantial portion of the scoring. You must have or open a flickr account and join the 2014 Colour of Couture Contestant Entry flickr group before submitting photo entries.